One will find in any listing of close encounters of UFOs, incidents that seem to defy reason and are absurd products of the mind. They contain elements with the sole purpose of undermining the credibility of those who are encountered. The encounter is not believed, and is taken as a joke. Nor does it seem logical that an alleged witness who "invents" an episode of an encounter with a UFO (to fool the press for example) would create absurd and illogical details that cause their case to not be taken seriously. Therefore, since the root of these elements is absurdity and incoherency I have called it the Distortion. When there is a close encounter, the "extern agent" make up the scenario (stage, actors, etc.) for its representation, in the eyes of the witness, with psychic material extracted from the witness's mind. It is something like dreams, where the logical and the absurd come together. When we sleep, our mind represents scenes from "life", many of them inconsistent, but accepted as "normal during the dream. But when we wake, we see the absurdity of the dream content. Something similar happens during close encounters with UFO experiences; the intelligences that cause them, they use a “dream” language based on images and sensations. When "they" are introduced into our reality, they deliberately cause a distortion to manifest itself. "They" do not show their true appearance. Achieved virtually (like dreams) the experiences are non-transferable and personal. While sharing common features (UFO sightings), the data highlight of close encounters is its individualistic character. There seems to be a different alien different for each witness. On April 18, 1961, in Eagle River (Wisconsin), Joe Simonton 60, who lived alone on a farm on the outskirts of the city, had a very strange encounter with rare "aliens cooks." About 11:00 am in the morning, Mr. Simonton heard something like the sound of "knobby tires on wet pavement." Mr. Simonton observed a metal object landing in his yard. It was a chromed artefact, very brilliant, 9 meters in diameter and 3.5 meters in height. The object had the form of two reversed bowls with "exhaust pipes" on its edge. his house to fill the water jug, which weighed a bit more than aluminium. 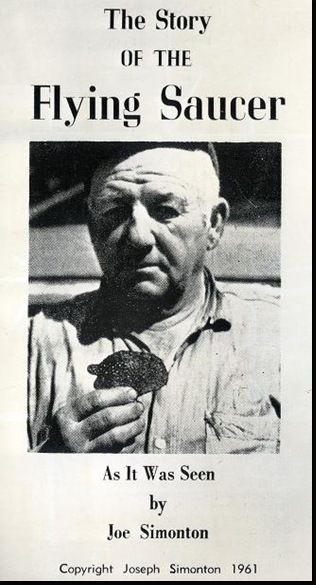 Returning, he noted that inside the artefact, one member of the crew was using a grill, making "cookies" (pancakes?). Simonton didn’t see a fire in the grill. The interior of the object was similar to wrought iron and matte black and there were several "dashboards." The witness says he heard a noise like an electric generator. Simonton asked for some cookies from the "Italians". The "chef," who had red stripes on the pants, gave Simonton four hot cookies of about 7.5 centimeters in diameter, with small holes. Then one of the occupants of the device closed the gate and the machine rose at an angle of 45 degrees. The UFO moved away at high speed toward the south, causing the tops of nearby pine trees to bend, but without causing any visible damage to them. The experience lasted five minutes. Simonton ate one of the cookies and told reporters that it "tasted like cardboard." The police, who knew Simonton for fifteen years said that they believed in the truth of what he said." The USAF investigated the matter and examined one of the cookies at the "U.S. Department of Health, Education and Welfare's Food and Drug Laboratory". The result: hydrogenated fat, starch, buckwheat hulls, soy bean hulls, wheat bran. (Bacteria and radiation readings were normal.) Chemical, infra-red and other destructive type tests were run on the material which indicated an ordinary cookie of terrestrial origin. 4. Remainder to Simonton (Although apparently ended up in the possession of the investigator Barry Greenwood). An interesting detail from the analysis of the cookies: they did not contain salt. Jacques Vallee, in his book Passport to Magonia, compared this "culinary gift" with the food of the fairies which does not contain salt. Dr. Joseph Allen Hynek, told Major Robert Friend, that the witness told the truth, but it was the product of a "lucid dream" while preparing breakfast. Simonton was sorry he told his story to the public, as he suffered continuous ridicule and jokes by his neighbors and the press. Simonton certainly had an encounter that seemed "physical", "real," and tangible, caused by an "external intelligence" influencing Simonton's mind. The psyche of the witness added everyday elements to the alleged UFO landing. It is particularly strange that a spacecraft had a grill for making cookies, in addition to being manned by "Italian tourists" that offered the cookies but needed a jar of water. No doubt all these aspects are the result of a complex phenomenon of “distortion” which arises from the union of the mind of Simonton with "unknown intelligences." If normal dreams usually have aspects and components that are inexplicable, absurd and difficult to understand, imagine the result of the union of the unconscious of a witness with "minds of non-humans," that have the ability to recreate matter at will. The famous "cookies" or "pancakes"
CO-CREATOR, participating in the elaboration of the unconscious experience, contributing psychological material about the conduct of the aliens, external aspects of the machines, et cetera although the "unknown intelligences" after adapting it, represent it according to their whim, acting as INTERPRETER, decoding of the "manifestation." I think the main effect of all anomalous experiences are based on my principle called “distortion” (which occurs at the time that the external phenomena connects with the witness) and also because of the strange effects caused by communication between dimensions. 1. One means of communication, between "them" and the witness, based on sensations and images. 2. One mode of hiding: A perfect disguise. 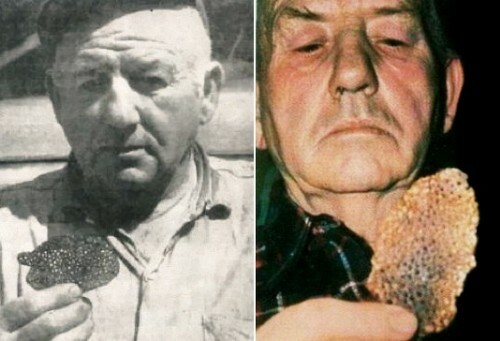 At the time of the UFO landing at Eagle River, the "unknown "extern agent"" grabbed the mind of Simonton, making sure he would wish for a encounter with "ordinary people of stars" (not monsters, nothing unusual), hospitable, cooking in the spacecraft, pancakes just like any Earth neighbour. This smail detail, the cookies, makes it difficult for many people to believe the testimony of Simonton. Laughter and disbelief are guaranteed. Therefore, the "distortion" carries an inherent capacity of absurdity and impossible imagery, the signature of many encounters with UFOs, that allows the phenomenon to move between the real and the extraordinary, between waking and sleeping. Cookies do not contain anything special in our known universe. But still, by analyzing from our perspective, we notice that the cookies are the product of distortion of reality and because they contained mundane ingredients, there is another more important subliminal, transcendent message, a message that we still do not know how to decode. 1. I believe in the inter-dimensional nature of the UFO phenomenon. 2. It is an "intelligent" phenomenon (agent extern) that exists outside of us. 3. The phenomenon has takn many centuries, and many demonstrations to interact with humans. 4. The phenomenon has demonstrated mutability, but does fit into society at the time it manifests itself. (Agent extern never act in an orderly fashion, or follow an established pattern of behaviour. Its manifestations, via mutability, are related to individual perception and distortion). 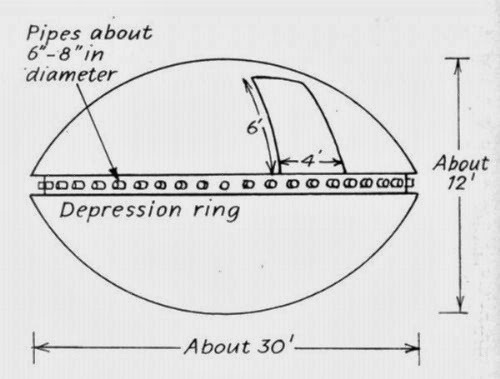 b. Multi-forms of "flying saucers" of every size imaginable, from several centimeters to hundreds of meters and multiple forms: plates, round, square, triangular, cigar-shaped, et cetera. d. Erasure (almost magical) of any trace or evidence (by more than half a century of the manifestation) which could prove its reality to the whole world. All these points point to an obvious distortion of our perception of "them," with the sole purpose of carrying out a great "hoax." 6. If it were a distortion caused by the intrusion into our universe or an aspect of quantum theory, the UFO phenomenon would not present an "aberration" of information as we know it. 7. The most striking feature of the UFO phenomena is, without doubt, the individual characteristic that is presented. 8. The important connection with other anomalous phenomena (cryptozoology, apparitions of the Virgin, et cetera) indicates that the "intelligence" from "hidden" dimensions use various types of events to deceive. 9. The existence of cases where different anomalous phenomena (at least in appearance) are mixed; for example UFOs manned by Bigfoot, or apparitions of the Virgin seen as part of a UFO sighting (Fatima) clearly indicates that the interaction with the observer goes beyond what one would normally expect. Obviously this distortion, instigated by unknown "intelligences", causes total confusion.